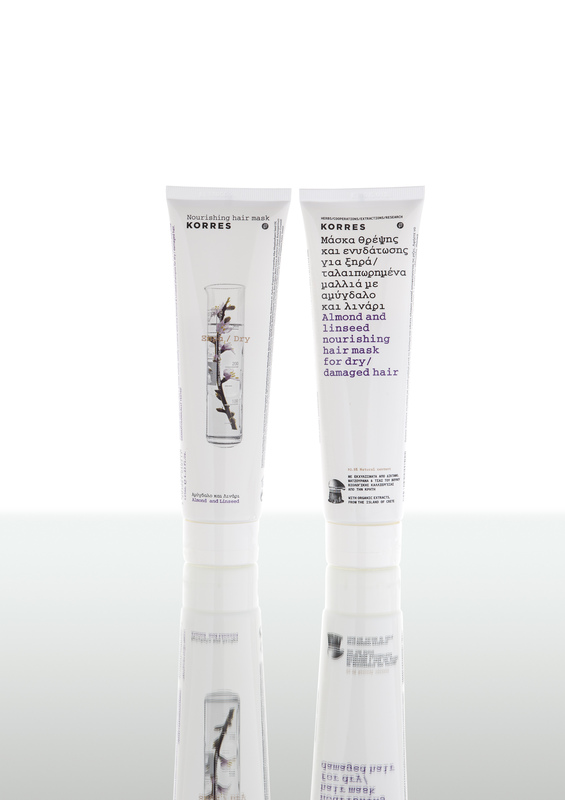 Root-to-end moisturising hair mask which nourishes dry /damaged hair. Almond and Linseed extracts combined with Shea butter, help the hair retain its moisture, while increasing its resistance against breakage and split ends. The mask has been developed to also help control static and prevent frizzy hair. Aqua/Water/Eau, Cetearyl Alcohol, Distearoylethyl Hydroxyethylmonium Methosulfate, Glycerin, Dicaprylyl Carbonate, Quaternium-91, Parfum (Fragrance), Limnanthes Alba (Meadowfoam) Seed Oil, Cetrimonium Methosulfate, Inulin, Polyquaternium-37, Althaea Officinalis Root Extract, Astrocaryum Murumuru Seed Butter, Behentrimonium Chloride, Beta Vulgaris (Beet) Extract, Butylene Glycol, Butyrospermum Parkii (Shea Butter), Caprylic/Capric Triglyceride, Coumarin, Hydrolyzed Wheat Protein, Hydrolyzed Wheat Starch, Hydroxypropyl Guar, Lactic Acid, Limonium Gerberi Extract, Linalool, Linum Usitatissimum (Linseed) Seed Extract, Niacinamide, Orbignya Speciosa Kernel Oil, Origanum Dictamnus Extract, Origanum Majorana Leaf Extract, Panthenol, Polyquaternium-47, Polyquaternium-87, Prunus Amygdalus Dulcis (Sweet Almond) Fruit Extract, Sideritis Syriaca Extract, Sodium Gluceptate, Xanthan Gum.